I use several types of adaptive computer mouse controllers depending on what type of computing I will be doing. I’ve learned over the past year that some controllers are better than others in certain circumstances. Here is my Top Two Assistive Technology Computer Mouses Quadriplegic Reviewed. Continuing with a brief overview of the two I use almost exclusively except when I have something break and I need to revert back to option three which I’ll explain at the end. Many thanks to the Department of Veterans Affairs for helping me obtain these adaptive computer mouse controllers. 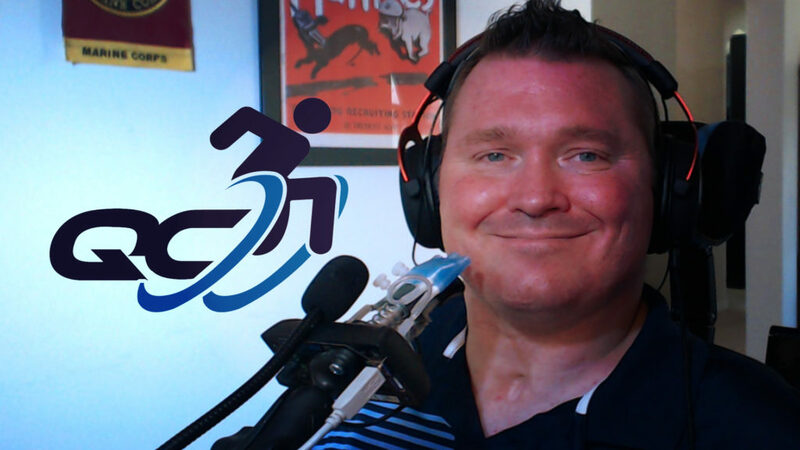 I have used one of these co ntrollers for over six months they are very sensitive and very versatile piece of equipment, however, there is a steep learning curve programming the device for additional games. Plug-and-play does work well if you do wish to use this as a mouse. I found that its main weakness is prolonged use I typically would use the controller 16 hours in a day and that wears out the joint that holds the stem of the sip and puff to the base pretty regularly. However, out of the two options, I will talk about this is my preferred because of the adaptability of the mouth stick itself for use with multiple types of software. I would not consider it for everyday use only for specific programs and gaming when accuracy is a must. Cost around $400 but available through Medicaid and VA.
Next up we have the Quadjoy. Instead of being left without a mouse while my quadstick was being repaired requested the quad joy mouth stick from my VA adaptive occupational therapist. I’ve been using this for the last 30 days or so exclusively as my quadstick was broken and is offer repair. I use this device for 12 hours a day typically and in general, it is for web design, games kind of, Facebook, other social media, editing graphics and images. Amongst many other things that I use both of these devices for. The Quadjoy adaptive computer mouse controller for a quadriplegic with no hand function works very well as a solution for normal computing needs I currently use the version 2.0 and the latest version 3.0 that I’ve not yet used which has been designed to accommodate some gaming. In conclusion, either of these controllers should be utilized situationally. If you are using the computer to check emails and surf the web than the Quadjoy may be the choice for you. If you want more control for gaming, precise mouse control, and key mapping than the quadstick is definitely the go to. With that being said there are alternatives that can be homemade. I used a trackball attached to a mount and literally facerolled while my quadstick was in the shop. Top Two Assistive Technology Computer Mouses Quadriplegic Reviewed. 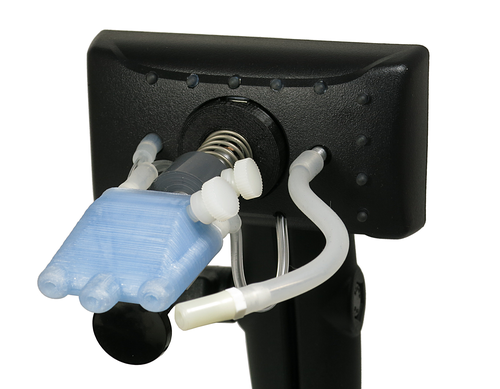 The QuadStick is a mouth-operated game controller for Quadriplegics. The QuadStick has three models, the original QuadStick, the Singleton, and the QuadStick FPS. The primary difference between the two game controller models is the joystick module. The QuadStick FPS has a larger, more precise joystick with a stronger centering spring than the original model. Between the two models, the QuadStick FPS may not the best choice for some users with disabilities affecting muscle strength. 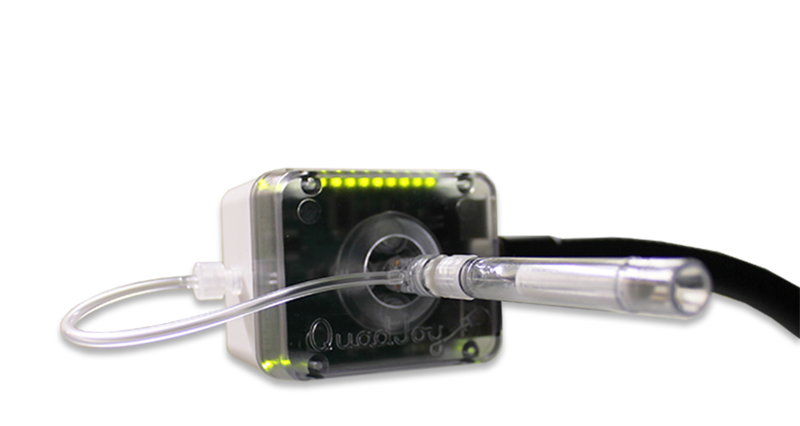 QuadSticks game controllers have four sip/puff sensors, a lip position sensor, all connected to a 32-bit ARM processor. This converts the sensor inputs into USB Bluetooth signals for games. The QuadStick is directly compatible with the PS3, Android, and many PC games that use a joystick. Through the use of a 3rd party USB adapter, XBox 360, XBox One, PS4 consoles can be used. The connections between the input sensors and the signals sent to the host are configurable by the user. Settings are pre-configured profiles while playing a game, to match different situations in the game. Specific configuration profiles can easily be created for games that require unique control inputs leading to. Finally, the QuadStick comes with a one year warranty. qs has a thirty-day no-questions-asked return policy.